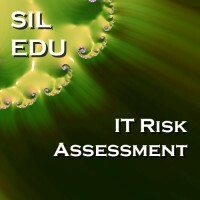 As part of the SIL ongoing education series, the IT Risk Assessment class has been scheduled for twice during the remainder of 2015. The registration for the class session is open, and can be found at http://www.sil-usa.com/index.php?route=product/product&path=104&product_id=36. This class leverages the extensive risk assessments that SIL does each year, providing detailed information on the essential components and processes that are required for effective IT risk assessment. This class will cover the areas that have been shown to be critical to effective risk evaluation in the IT arena in depth, including the major forms of IT risk assessments and the use of risk foundation guidelines. Other subjects include the various project arcs associated with IT risk assessment and how to maintain a validation process for the ongoing IT deployment. This is a fun class and drills down into looking at IT risk assessment at a deep level. It is a further exploration of the talk that was delivered at the Florida Clerks and Comptrollers summer conference at the beginning of June. I am pleased to see people from that conference are going to attend this class!